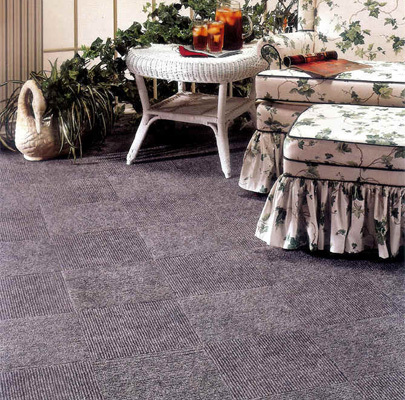 Carpet tiles provide an affordable solution both for the home and the office! Easily replaced should they be exposed to significant damage or spillage. Offering the combination of flexible design, versatility and a well deserved reputation as a hard wearing floor covering - carpet tiles provide an affordable solution both for the home and the office! Alternating colours provide a chequered design or they can be put into blocks for larger square or diamond effects. In addition they also provide the option of being easily replaced should they be exposed to significant damage or spillage.